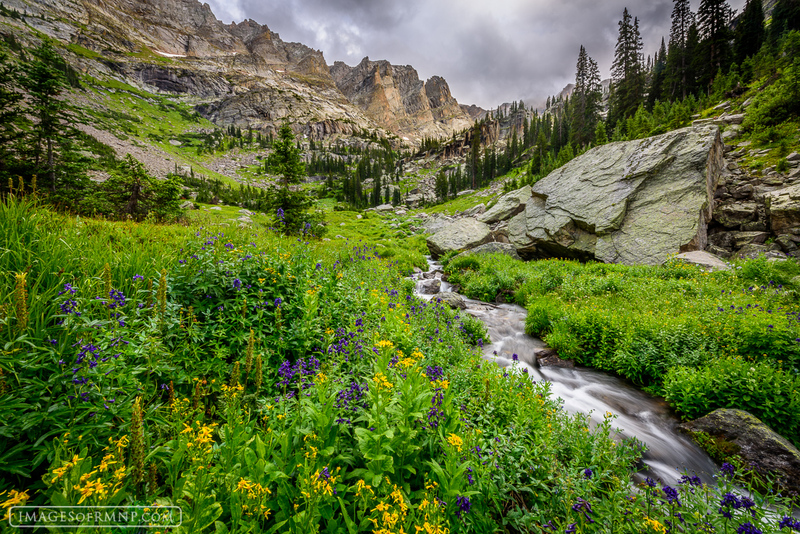 On a summer day, I hiked up to this spectacular location deep in the backcountry of Rocky Mountain National Park to see whether there were any flowers still blooming. Shortly after arriving the storm briefly let up allowing me to capture this beautiful alpine scene. Photo © copyright by Erik Stensland.